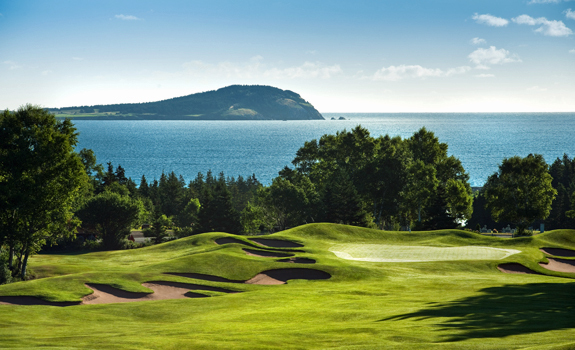 A Perfect Cape Breton Golf Experience. Canadians are deservedly proud of the fantastic collection of National Parks that dot our great land. We enjoy such rich and diverse landscapes that spread from coast to coast, from majestic mountains to spectacular sea sides. Our national parks system showcases the uniqueness of each region highlighting the beauty of the diverse landscapes. One such park is Cape Breton Highlands, located in the far north-east of Cape Breton on Nova Scotia’s Atlantic shoreline. This immense parcel of natural beauty includes a stunning setting along the Atlantic coast including most of the historic and charming communities making up what is commonly known as Ingonish. A favourite destination of Sir Alexander Graham Bell during his summer visits to Cape Breton, Ingonish was a place that drew him and his friends to the beaches and the Middle Head Peninsula. Originally known for farming and fishing this amazing spit of land stretches out for a few kilometers providing the foundation for both the Highlands Links Golf Club and the Keltic Lodge of Ingonish. The Keltic Lodge: The iconic Keltic Lodge Resort and Spa is built on a beautiful piece of land surrounded by ocean with views that are difficult to describe with enough superlatives. The resort features 105 guest rooms provided by three distinctively different accommodation options. 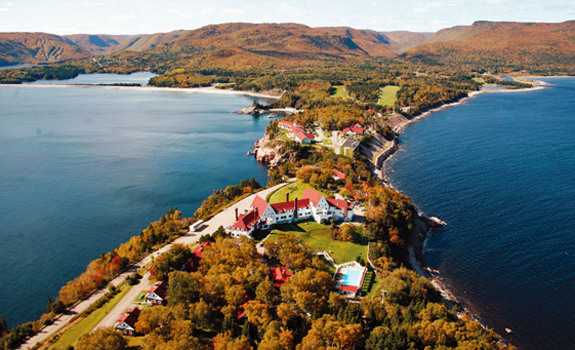 The historic lodge, perched high atop the rocky cliffs of the Atlantic features 34 rooms and suites graced with a refined style dating back to beginnings of the resort in 1940. 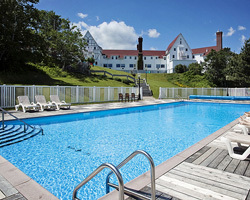 The Inn at Keltic is more of a motel style experience with 40 guestrooms and common games rooms available. Providing spectacular views of the Atlantic and Big Smokey Mountain The Inn is ideal for those looking for spacious rooms and a laid back experience. Those looking for a more unique or family type experience should consider the cabins. Featuring common areas, fireplaces, individual bedrooms and 2 bedroom suites give the family or group a wonderful rustic cabin experience with plenty of privacy and space to reconnect. Three distinct dining options are available to guests. 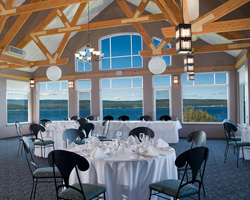 The Highland Sitting Room provides a light seafood and pub fare with nightly live Celtic-style entertainment. The Purple Thistle is an upscale dining experience found in the main lodge and offers refined menu and scenic views as exquisite as the meal. The Atlantic Room is perched high on the cliffs above North Bay and features a menu with Cape Breton favorites in a beautiful post and beam setting. 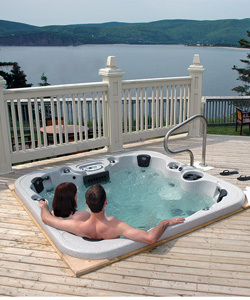 Set in the heart of Cape Breton Highlands National Park the adventures are plentiful. A vast array of whale watching or fishing tours is found nearby in the village. Kilometers of hiking trails ranging from leisurely to rugged and endless beaches, both salt and fresh water await those looking to savour some of nature’s glory. An afternoon at the heated outdoor pool or a session in The Spa at Keltic might hit the spot for a day of relaxation and rejuvenation. No matter what tickles your fancy the outdoor opportunities will leave you with plenty of options and many special memories. One of the most thrilling drives imaginable is the Cabot Trail which traverses the rugged landscapes and sheer cliffs of the Cape Breton Highlands. This spectacular drive leads you to one of the legendary courses this country has to offer in the historic village of Ingonish. 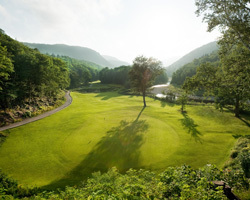 In 1939 legendary Stanley Thompson was asked by Parks Canada to create a golf course in the newly created Cape Breton Highlands National Park. 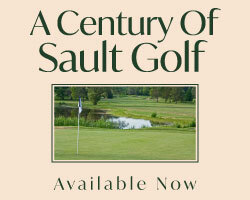 He created a course widely recognized as a national treasure. Beginning on a peninsula jutting into the Atlantic Ocean the routing was built on a series of expropriated farmlands with ocean views on 12 of its holes. Thompson’s genius is found throughout this design, characterized with massive hummocks reminiscent of whale graves in the fairways and greens. Challenging you off the tee, with your approaches and definitely on the wildly sloped greens, Highland Links is golf course that has to be visited to experience the uniqueness and challenge. I was given the warning about how hard it is to find a flat lie at Highlands and that piece of information played true to billing. 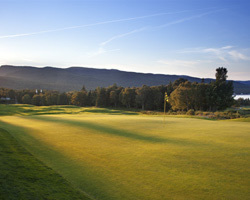 Killiecrankie, the second of consecutive par 5’s on the front is a pure shot makers delight. Played out of a chute to a fairway that seems to have a buried houses guarding the landing area, there is no easy route to the green. Tactical approaches must avoid the plentiful slopes and bunkering protecting the target. Hole 13 is a beautiful dogleg left par 4. The fairway has three tiers high on the right, low on the left, so even a well struck drive could find a less than desirable lie in the fairway. The front of the green is guarded by another huge, steeply sloped mound to repel anything hit less than perfectly. The par 5 15th is another lengthy beast with massive mounding and nary a flat lie. The tiered green with stunning backdrop of the ocean is no easy target even with a wedge in your hand. Not often do you find a short par 5 with as much trouble as Hole 16. Uphill the entire way to the hole, the fairway is filled with humps and mounds throughout. 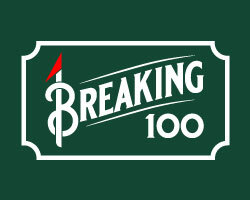 Best of luck finding a lie that will let you get a good strike on the ball. A constant mention when debating Canada's most spectacular courses, Highland Links is a national treasure with a design that is bold, inventive and ingenious. If the course doesn't leave you speechless the drive to Ingonish certainly will!